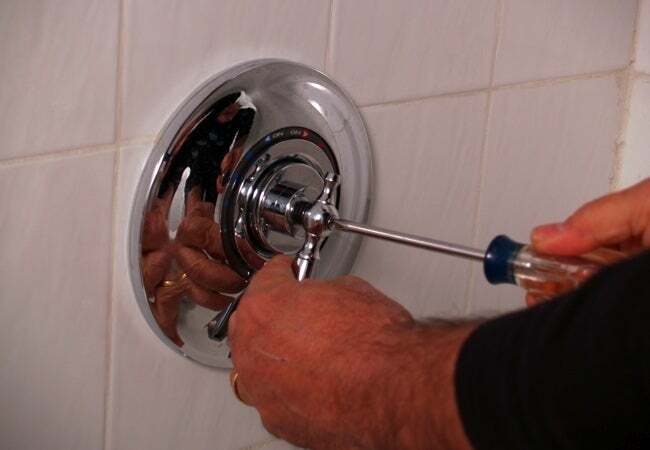 Install new shower valve trim to freshen the look of your bathroom quickly, easily, and at low cost. 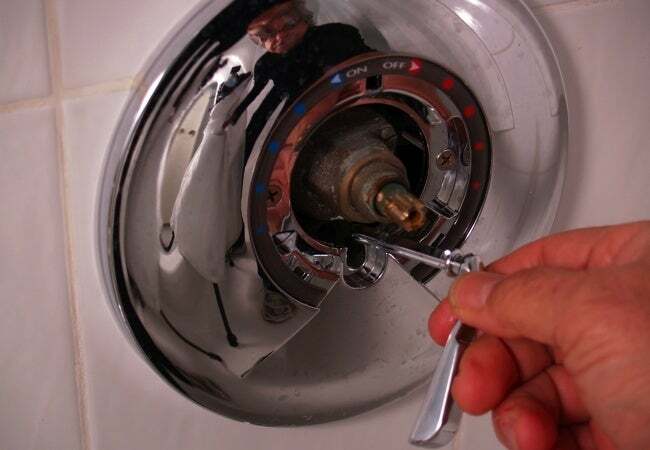 A fast and easy way to freshen the look of your shower is to install new shower valve trim. If your trim resembles mine on the day that I undertook this project, then it’s either conspicuously out of date or completely corroded—or both. Fortunately, of all the countless projects you might choose to do in the bathroom, this is one you won’t need the plumber for. 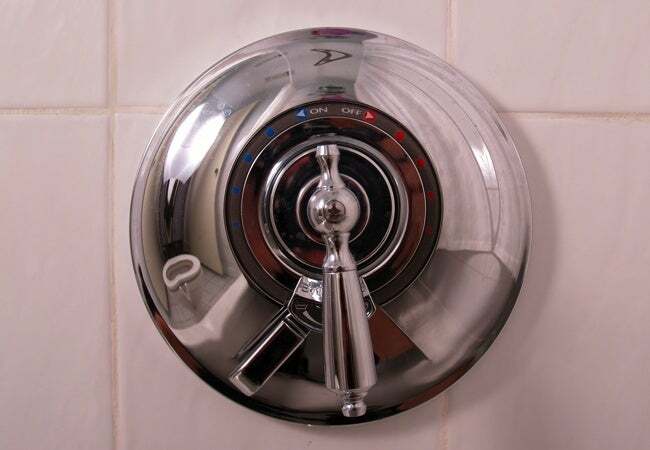 The very first step is to determine what type of shower valve you have. Identification may be visible on the valve. If not, try performing an image search online. 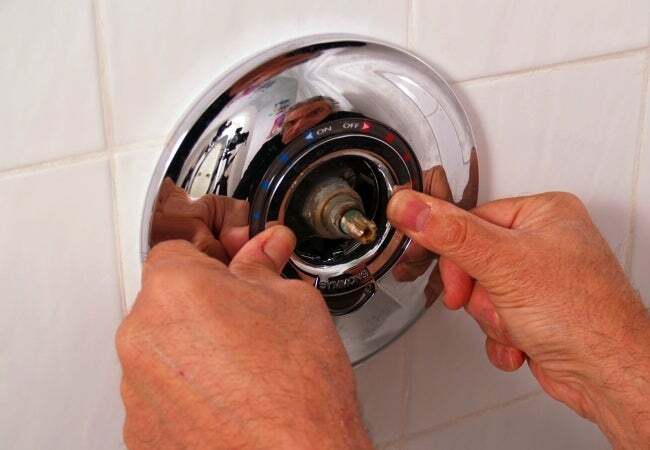 Since the majority of older valves were made by only a handful of companies, you probably won’t have to sift through many results before discovering a match. When purchasing a new trim kit, it’s important to buy one whose mounting holes are in the same position as the holes that are in your existing trim. Some trim kits have mounting holes at 5:00 and 7:00 positions. Others have them at 2:00 and 7:00. The kit packaging helpfully lists which type of valves the trim has been designed to fit. 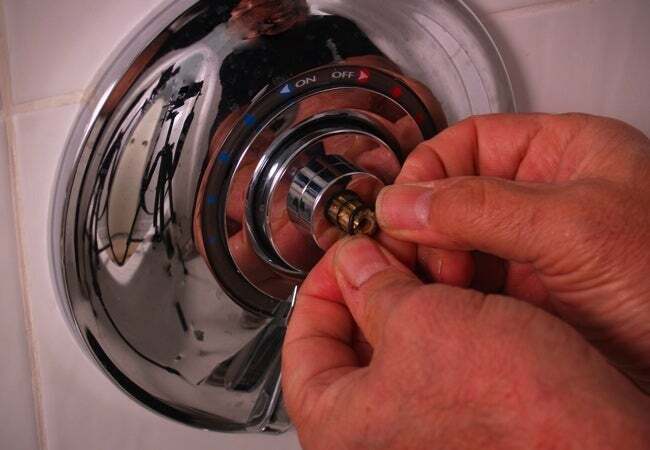 Installing valve trim is a task simple enough that conceivably—if all goes according to plan, of course—you could finish the job before you begin your morning shower routine. Even beginning do-it-yourselfers ought to have no problem with the step-by-step instructions that follow. 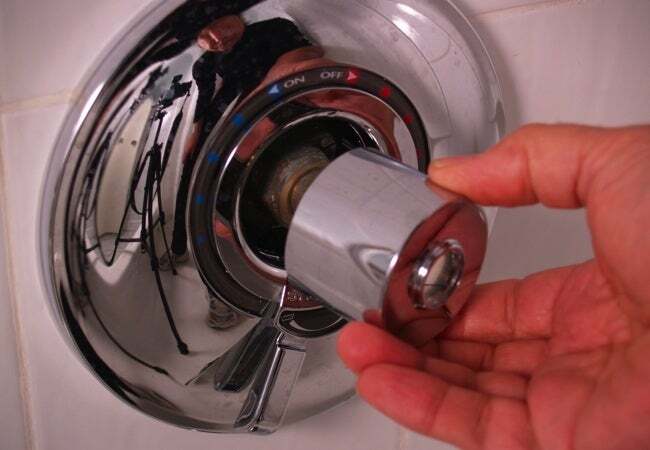 Remove the screws holding the shower control handle in place, then proceed to remove the handle itself. 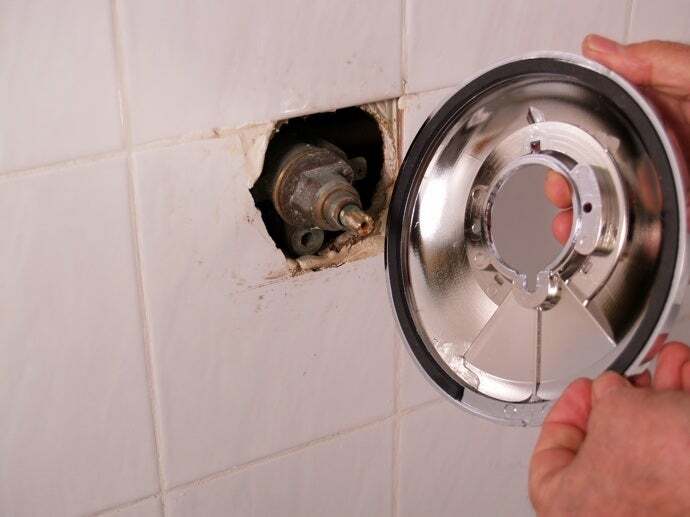 Place your new trim plate over the valve. 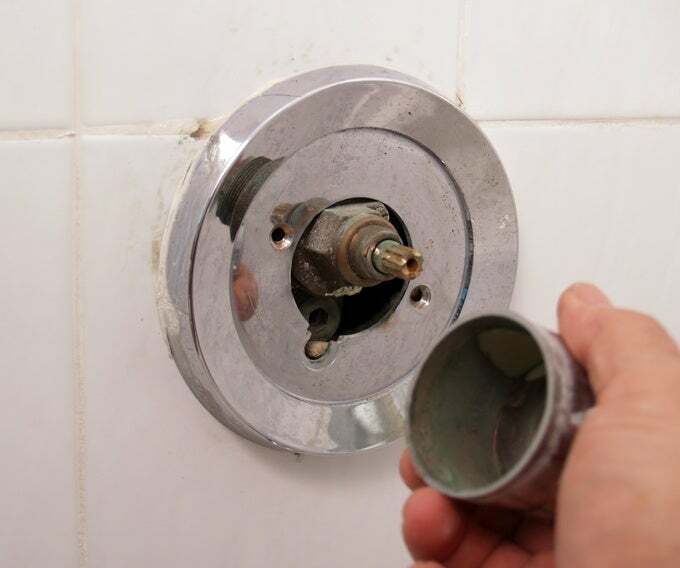 Mine came with a rubber gasket; others may call for plumber’s putty or caulk. Screw the trim plate into position using the screws supplied in the kit. 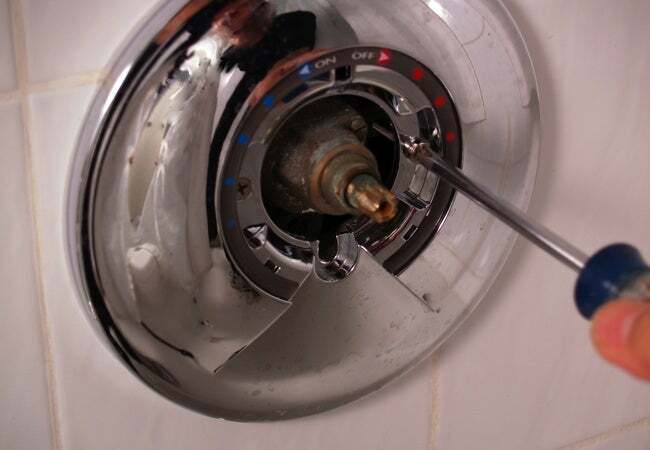 If appropriate for your valve, install the diverter—that is, the mechanism which directs water from the plumbing lines to your shower head. Clip the diverter retaining ring in place if needed. As the ring in my kit seemed prone to popping out, I used some adhesive caulk to secure it. Now install the valve stem cover(s). Use the supplied O-ring to fasten the stem cover(s). Finally, screw in your new control handle. Installing the shower trim kit took me all of ten minutes. Removing the old trim? Well, that took me an hour. Inexplicably, it had been installed with drywall screws. Oh, the joys of home improvement!